One of the more interesting and notable announcements in the mobile industry this summer was HTC's partnership with Beats Electronics – the company that's responsible for the Beats by Dr. Dre headphones, speakers and audio enhancements in HP computers. The goal of the newly-formed partnership is clear – to take advantage of Beats' expertise in delivering high-quality audio solutions in order to improve the overall audio experience on HTC's smartphones. PhoneArena: Hey James, thanks for accepting to do this interview with us. We're sure our readers are really looking forward to learning more about how HTC intends to implement the Beats Electronics expertise in its smartphones. But first, could you please share with us how HTC came to the idea of investing in Beats Electronics? What was the main driving force behind this undertaking? HTC: We are constantly looking for ways to improve the mobile experience. We believe that you need great audio quality to be able to truly enjoy entertainment – be it music, movies or games – and we wanted to allow everyone to experience this on our phones. Bringing Beats’ unique studio sound to HTC smartphones means you can now enjoy the sound the way the artists intended while on the go. 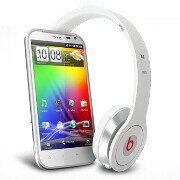 PhoneArena: You've already launched your first Beats-powered Android smartphones – the HTC Sensation XE, XL and Rezound. They come with those signature urBeats earphones, and for the Sensation XL you have a special edition featuring the Beats by Dr Dre Solo headphones which will be available with some UK operators. Could you provide our readers with some more details about any other hardware enhancements that have been done to the phones, courtesy of the collaboration with Beats? HTC: Our Beats integrated phones feature a dedicated Digital Signal Processor which works with the software to apply tailored Beats Audio profiles. This enables the best possible sound experience for Beats’ headphones. PhoneArena: Now that we've talked about hardware, let's discuss the software treats that are in place for consumers. We're aware that when you plug the Beats earphones in, an audio-enhancement function kicks in, but is that simply an equalizer of some sort, or are there some other, more profound alterations that have been done to the sound experience? HTC: HTC Sensation XL with Beats Audio and HTC Sensation XE with Beats Audio feature bespoke profiles which automatically recognize the Beats’ headphones when they are connected to the phone. These apply present EQ settings to optimize the audio experience, allowing you to hear your favourite artists the way they really sound. Gone are the days of tolerating tiny sound and being stared at by the people around you because they can hear what you’re listening to. With our Beats integrated phones, you get superb sound without bothering anyone. PhoneArena: Does what you've done with the Sensation XE and XL represent the extent to which you plan to use this partnership, or there are other Beats-powered features in store for future devices that users should be looking forward to? HTC: As far as the future is concerned you’ll have to watch this space. I don’t want to spoil what we have in store, but rest assured that superb audio experience will remain front and centre for us. HTC: As much as our CEO is inspired by how the Beats partnership has improved the way people can experience entertainment on their mobile phones, I’m sure he will leave making music to the professionals. PhoneArena: Thank you very much for your time, James! It was very interesting to have this conversation with you, and we're sure that it will be just as beneficial for our readers. We wish luck to HTC in all of its future endeavors! 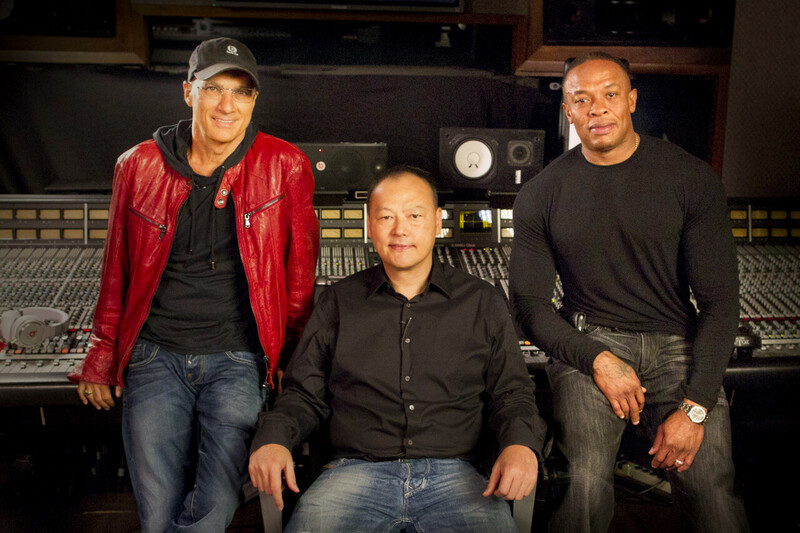 "Can we expect a song by Dr. Dre featuring Peter Chou?" hahaha... lol..
Don’t be fooled... Beats Audio is so overrated! The sound quality is very poor... In my opinion the quality is on-par with Scull Candy. Don’t waste your money!! I made the mistake of upgrading my HP laptop with Beats and I wish I could have gotten a refund for this crap. hahah... ok maybe I am being a bit dramatic here. I did read that the headphones have decent sound quality. I think Beats' Audio quality is great but the price is just not right. It's a rip off. And these Beats-Equipped phones are priced the same as other previous high-end HTC devices. I wonder how much profit their getting for every single Beats Headset/Earphones they sell. It's both a benefit and a gimmick. I'm happy with the enhanced sound coming out of my Rezound, but I'm also sure a good equalizer app would do the trick too. The iBeats headphones are good, but like most Monster products their $100 retail price is outrageous. I wouldn't have bought the phone solely for Beats (the 720p screen sold me) but it's still a neat feature. Ok so Beats isn't the most amazing headphones you can get, but the public recognises them, HTC knows that the average teenager thinks Beats are amazing and makes them more inclined to buy their products, basically they went with Beats because of their public recognition, even if they are terrible for the price. but what about the hardware!!! higher speakers !! !